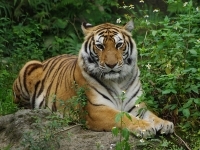 Taipei Zoo is home to hundreds of animals, including local Taiwanese species such as the flying fox, Formosan black bear and Chinese pangolin. Arranged into different habitat sections that contain their native species, the zoo lets visitors see African savannah wildlife, tropical rainforest creatures and more in context. Visitors should set aside at least three hours to take everything in. Transport: MRT Wenshan-Neihu Line: Get off at Taipei Zoo Station. MRT Nangang/Banqiao/Tucheng Line: Get off at Taipei City Hall Station, and then take bus route G1, BR18 or BR21 to Taipei Zoo.